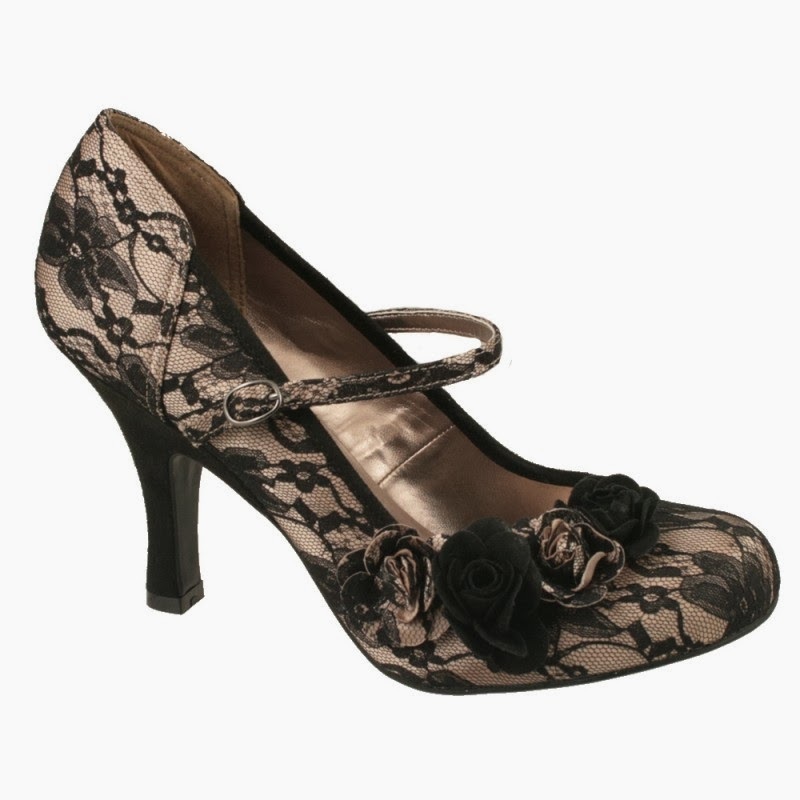 On the tenth day of Christmas, Domestic Sluttery gave to me, some beautiful new shoes from Shoes International! There's something brilliant about getting new shoes on Christmas day. Usually because it means we're wearing them with our pyjamas because we're still refusing to get dress until January 2nd. So to spread the Christmas day shoes joy, we've teamed up with our sponsor Shoes International to bring you a new pair of shoes (remember they told you how to take care of your shoes in winter?) One lucky winner will win a £50 shoes voucher which means you can buy any of the high heels pictured as long as loads more. You can spend it on whatever you like and as their name might suggest, they deliver worldwide so this comp is open to our readers all over the world. Leave a comment below telling us about your most memorable Christmas present. Did you go all Full Nativity and have a baby? Did you pop the question or get married? Did you finally get a Playdoh Barber shop or LEGO Death Star? We want to hear all about it! Like us on Facebook and then like or comment on our Facebook competition entry. It'll go live in a minute, as soon as we've had some buttery toast. Follow us on Pinterest and pin one of these lovely pieces (making sure you link back to this post so we can see your entries). We'll pick a winner at random and announce in Monday's competition. Good luck everyone! PS - wondering who won the gorgeous leather bag from Flights of Nancy? That was Denise Elvy via Pinterest! Denise, drop us a line and we'll get your present out to you. Oh goody! Small print (please read it). The competition will close at midnight (UK time) 15 December 2013. Overseas readers, you can totally enter! If you're anon, your comment entry won't count and if you enter with lots of comments or a barrage of Facebook comments and tweets, we'll discount all of your entries and tell you off. The winning entry will be chosen at random and you must claim your prize within 48 hours otherwise we'll pass it on to someone else. We're not allowed to enter our own competitions but Siany's best present ever was a Scalextric. I never did get a Mr Frosty machine - I ALWAYS wanted one - instead my best present was the my little pony, loved it! My chihuahua puppy - she because a very loving and loyal member of our family! I remember one Christmas Santa brought me a Game Boy... I was so thrilled I almost puked. I LOVE those shoos! My favourite memory of christmas was my daughters 2nd christmas. Watching the magic and wonderment on her face is something i will never forget. When I was about 9 I got a Fashion Design Centre - which, amazingly, I can still see available on ebay http://www.ebay.com/itm/Paper-Models-Fashion-Design-Center-for-Girls-Original-box-from-1976-/190996895778 . I thought it was so fantastic and so totally unlike my mother to get me something SO COOL and then the icing on the cake was that my best friend got EXACTLY the same one. I never figured out how the serendipity occurred. I was bought a ticket to go and see Westlife in concert. I was 11, they were my favourite group, and I was ecstatic. The show itself was a lot of fun, made more brilliant by the fact that my sister, mum and I sang along with all the songs while dad sat rather unimpressed throughout the whole thing. The Sluts may remember my most memorable Christmas present. Two years ago you asked what we most wanted for Christmas. I answered "a visit from my sister Kate - she lives in Australia and we've not see her for almost six years". The following day, Kate and her husband turn up at my work to surprise me. I still almost cry thinking about it now. What a great present! During this year i met the love of my life. He decided to surprise with an amazing tiffany kamp as ge remember the story i had told him about my Grandpa. Before he had passed he made a tiffany lamp for my Mom and every time I go home it makes me smile! ♥ We are now together for 8 years and been married for 4. No babies or engagement rings for me- my most memorable Christmas present was a bird hand puppet I got when I was 5. Lovingly named 'Mad Bird' he went everywhere with me for about a year, and was a great excuse to pinch siblings- it's only the bird pecking! Those pegasus shoes are amazing. I'm all about pegasi at the moment. Most memorable christmas present? A mini rose bush I found on my windowsill after Iwished on a star for one on christmas eve (I was about 6). Still no idea how my parents (santa) sourced it. Aged 3, my Mum took my twin sister and me out separately to choose the other one a Christmas present. I found her what I thought was a pretty nice bottle of bubble bath shaped like a sailor. She picked me out a seal cuddly toy, which she absolutely fell in love with and could barely bring herself to give me (she'd already named it Celia by the time it made it under the Christmas tree...). I LOVED the seal on Christmas morning... and she was so jealous I got it and she only had bubble bath, she refused to talk to me all day. I returned Celia to her on our 18th birthday. I think she's just about forgiven me. 'Girls World'. Sadly after 3 hours, i'd back combed the hair into oblivion and covered the face in what appeared to be indelible waxy crayon. And never used it again. Christmas tragedy!!! When I'm just in, totally exhausted and I've reached the point where I need the will to live, the energy to open the bottle, and the inspiration for dinner I plonk myself down at the monitor and read Domestic Sluttery. Half the time my mood is lifted and I find the energy to open the wine (and most times cook dinner), the other half the time I just click like crazy on ALL THE THINGS - clothes? YEAH; shoes? COME TO MUMMY; cocktails CHECK THE CUPBOARDS; oh .. and the cakes .. droooooooooooooool. Adore the blog, and the pretty shoes are the shimmering cherry on the top of a decadently delicious gateau! She will be the best present in the whole wide world. A few years ago my boyfriend gave me my Christmas present in front of my family. It was a beautiful pink silk kimono style dressing gown (of the short variety). It was all a bit too much for my Gran who looked positively shocked and said in a broad Lancashire accent, "that won't won't keep you warm love!" My best present ever was getting a Speak & Spell machine thing when I was 6. I am still a brilliant speller and word-nerd. I'm torn between two memorable Christmas presents. There was the socket set my boyfriend gave me when I was hoping for earrings. :( AND there was the gerbil that I had when I was 8. He was excellent! Best present ever, I have to say. Year was the first Christmas my boyfriend and I had. I'm a midwife so as usual was working the night shift Christmas Eve. He picked me up in Central London on Christmas morning, and drove us to his parents in Devon. He brought a pillow so I could sleep all the way down. We had an amazing day with his family, a proper family day that I haven't had since leaving home 12 years ago. And the icing on the Christmas cake was that it turned out he'd bought me every single thing on the list of 'ideas' he'd asked me to send him. I was thoroughly spoiled and had the most fantastic day. He's still the most amazing, kind and generous man. All of our childhood Christmases have kind of blurred into one, which means they were all equally good! I'm known for being quite difficult to buy for, and I live at the other end of the country from most of my family so they don't know what I've bought myself over the year, but a couple of years ago I got a brilliant gift from my sister. She mocks me for my love of books, but obviously fond somewhere that does book gifts and bought me a rose made out of paper, which is gorgeous and combines two of my favourite things! My best present was a keyboard I received when I was little and I haven't stopped playing since! My favourite Christmas present was an Aladdin genie alarm clock which I got when I was about 8. It broke literally last week (over 20 years on!) and I found it hard to part with it....even the genie lit up! The shiny blue bicycle I got when I was 9. It had proper gears, a white seat & cute little basket at the front - I loved it! My most memorable Christmas present was a My Little Pony bike when I was five - I can remember going into the posh front room (that we only used on special occasions and which I was never allowed into normally) and this bike being in the middle of the room. I squealed with delight and begged to be able to take it to church, which sadly was not allowed, but I did then spend the afternoon riding it up and down the path in our garden. Good times.